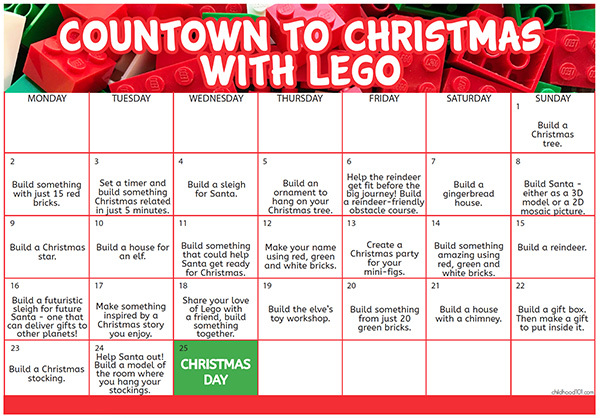 Have fun during the holidays with our Christmas themed Lego advent calendar of building challenges. Currently about one third of our playroom floor is covered in an elaborate Lego village. The girls have constructed this village from a mash up of previously built commercial sets combined with a series of buildings and other structures that have stemmed from their own imaginations. Lego has been a constant in their play for seemingly forever, at least three, maybe even four years. And as much as they love receiving the themed commercial Lego sets, I love that they spend just as much time (if not more) bringing their own, super creative ideas to life. 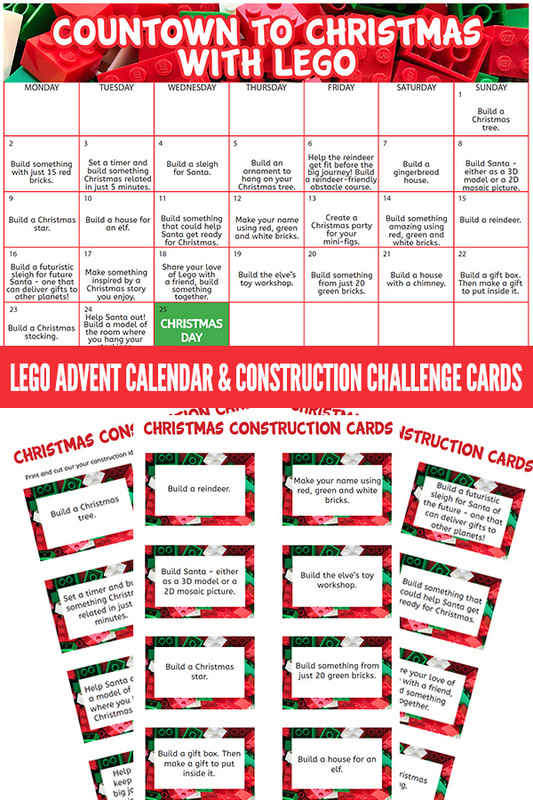 If your children love to create with Lego, this Christmas countdown building challenge is sure to keep them busy creating over the holidays. It includes 24 Lego building challenges and I have included them in two different formats in the free, printable you can download and print below. The first is a countdown calendar, that you might like to display in your toy room, or wherever your children like to build. The second version includes a set of printable cards that would make a great addition to your existing advent calendar plans. 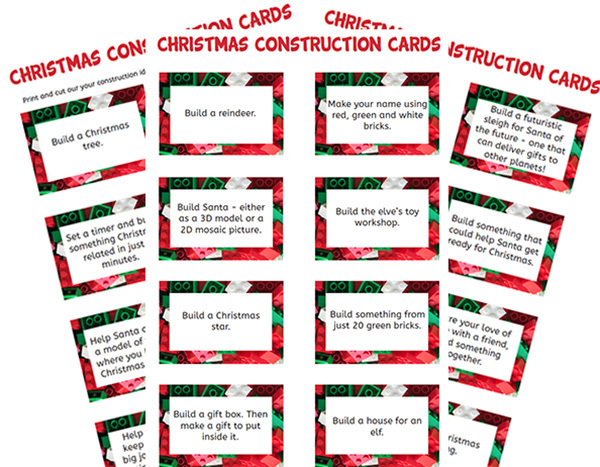 Whichever you choose, we hope you have fun building and creating this Christmas! RELATED: Have fun with our Christmas Lego mosaics. Click here to download: Christmas Lego Advent Calendar. Save the PDF to your computer. Open the PDF and print the page you require. When printing, select “Fit to printable area” (or similar) to ensure the page fits with your printer type and local paper size (these have been created at A4 size). I suggest printing onto card stock or matte photo paper. Laminate the printed cards for durability. Thank you so much for this!!! We have a felt pocket advent calendar and I usually fill the pockets with little holiday jokes but after a couple years that’s getting a little old. This is the perfect new idea for our pockets.